"Just $39.99 (regular $79.99 – that’s a $40 savings!!) Save half-off this exclusive hardcover edition of our Mega Man Tribute book, featuring hundreds of international artists paying tribute to the Blue Bomber! 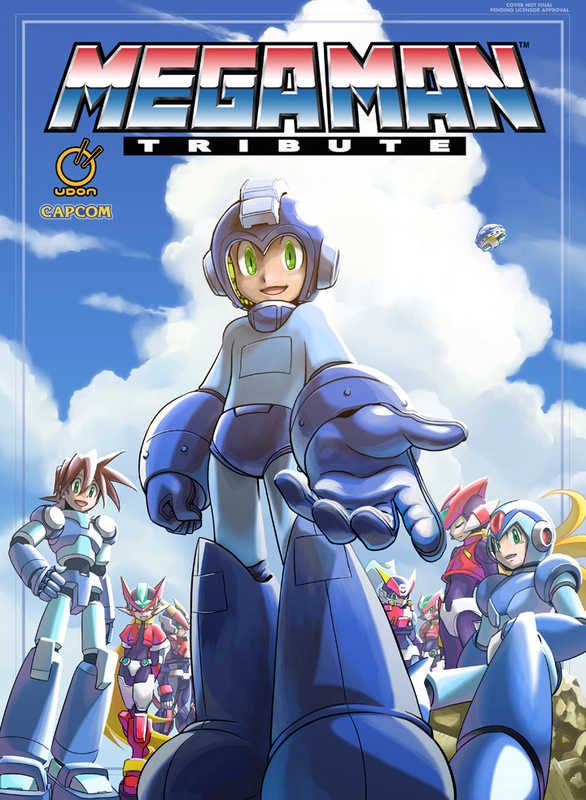 This limited edition hardcover version features exclusive cover art by Mega Man manga artist Hitoshi Ariga (Megamix, Gigamix), and is only available direct from UDONstore.com." Not a bad deal if you ask me! If you've yet to snag Mega Man Tribute for yourself, now might be an ideal time to act. Of course, if you already have it, you can't go wrong with gifting it to somebody! Though the sale lasts all weekend, one can never anticipate when stock will deplete. Purchase your copy ASAP while supplies last! Wow....really glad I dropped $80 for this thing now....Why can't limited edition things actually be limited edition? I'd buy it if it included the network timeline. But noooo. @Hypercoyote: It is definitely a limited edition. We have only done one printing of the hardcover and will not do another one, so once they are gone they are gone.